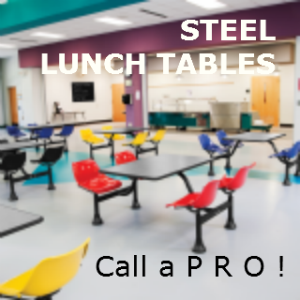 Cafeteria Tables 1003ss, BREAK ROOM SEATING. 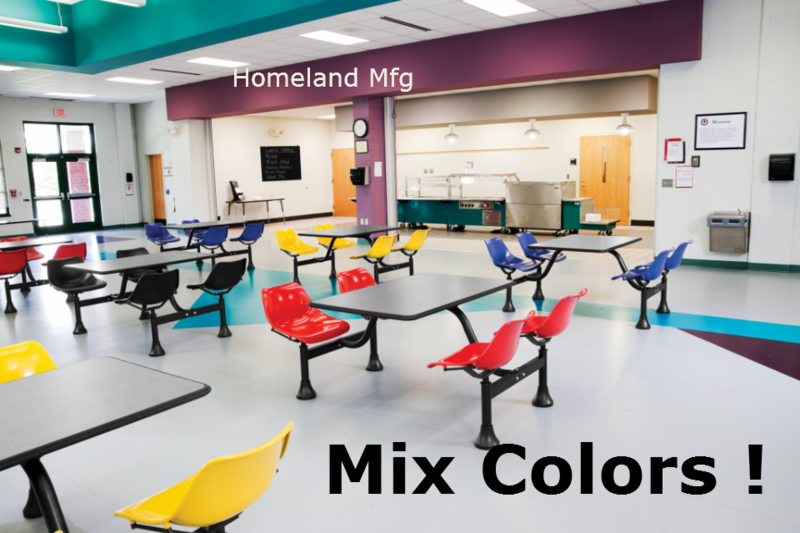 Try and Mix & Match the Table & Seat Colors. 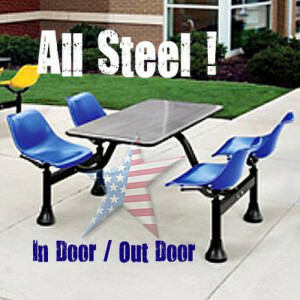 Our Stainless Cluster Seating with Laminate Top works great both indoors and outdoors, from playgrounds to lunchrooms. 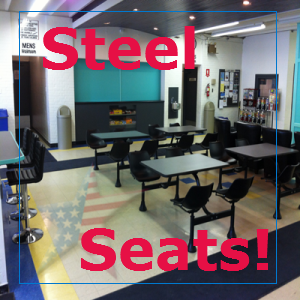 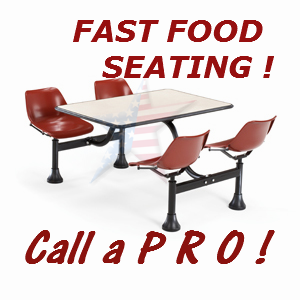 The table includes 4 attached stainless chairs with an auto-return swivel feature for ease of entry and exit. 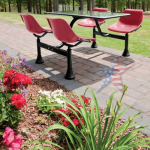 The table and chairs are both waterproof and fireproof and the frame features a scratch-resistant powder-coat paint finish. 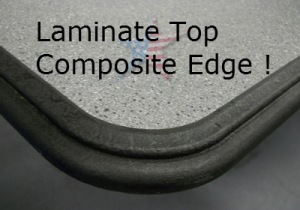 Available in a variety of laminate top colors.